Julien Chauvin was attracted at an early age by the Baroque revolution and the new wave of historically informed performance practice using period instruments, and moved to the Netherlands to train at the Royal Conservatory of The Hague with Vera Beths, who founded L’Archibudelli with Anner Bylsma. In 2003, he was a prizewinner at the International Early Music competition in Bruges. Since then he has performed as a soloist in South America, South Africa and Georgia, while at the same time playing in the leading European Baroque ensembles, before founding in 2005 Le Cercle de l’Harmonie, which he directed jointly with Jérémie Rhorer for ten years. Realising his desire to bring back to life a celebrated ensemble of the eighteenth century, in 2015 he formed a new orchestra, Le Concert de la Loge. The ambitions of this modern recreation have been demonstrated by its exploration of forgotten works from the French orchestral and vocal-operatic repertory, but also of innovative forms of direction (the ensemble is directed from the violin) and concert formats encouraging spontaneous and imaginative reactions from the audience. In parallel with this, he continues his collaboration with the Quatuor Cambini-Paris, formed in 2007, with which he performs the string quartets of Jadin, David, Gouvy, Mozart, Gounod and Haydn. 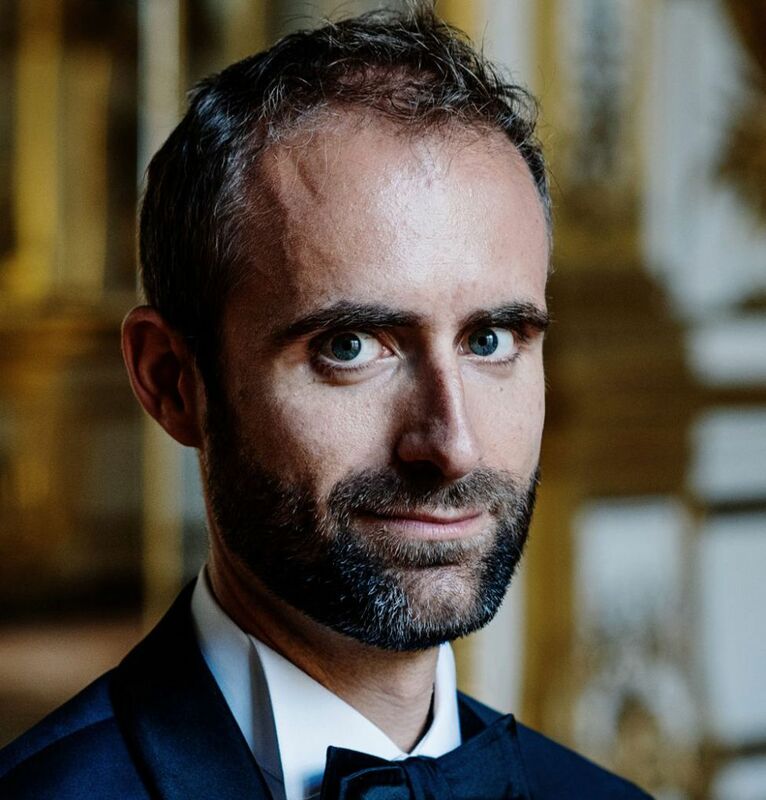 Julien Chauvin has conducted such operatic productions as Lemoyne’s Phèdre and Isouard’s Cendrillon staged by Marc Paquien for the Palazzetto Bru Zane; Haydn’s Armida directed by Mariame Clément; and Sacchini’s Chimène ou le Cid staged by Sandrine Anglade. Continuing to investigate the question of direction in the eighteenth-century opera, he recently directed Mozart’s Die Entführung aus dem Serail from the violin in a production by Christophe Rulhes. Julien Chauvin has recorded concertante works by Haydn, Beethoven and Berlioz on the Eloquentia and Ambroisie-Naïve labels. In 2016 he began recording Haydn’s complete ‘Paris’ Symphonies with Le Concert de la Loge for Aparté. He regularly appears in recital with Jean-François Heisser, Alain Planès, Christophe Coin, Justin Taylor and Olivier Baumont. He and Baumont recorded the disc ‘À Madame’ at Versailles Palace. For the year 2017/18, Julien Chauvin was artist in residence at the Institut d’études avancées de Paris in a partnership aimed at stimulating dialogue between music and research in the realm of the humanities and social sciences. 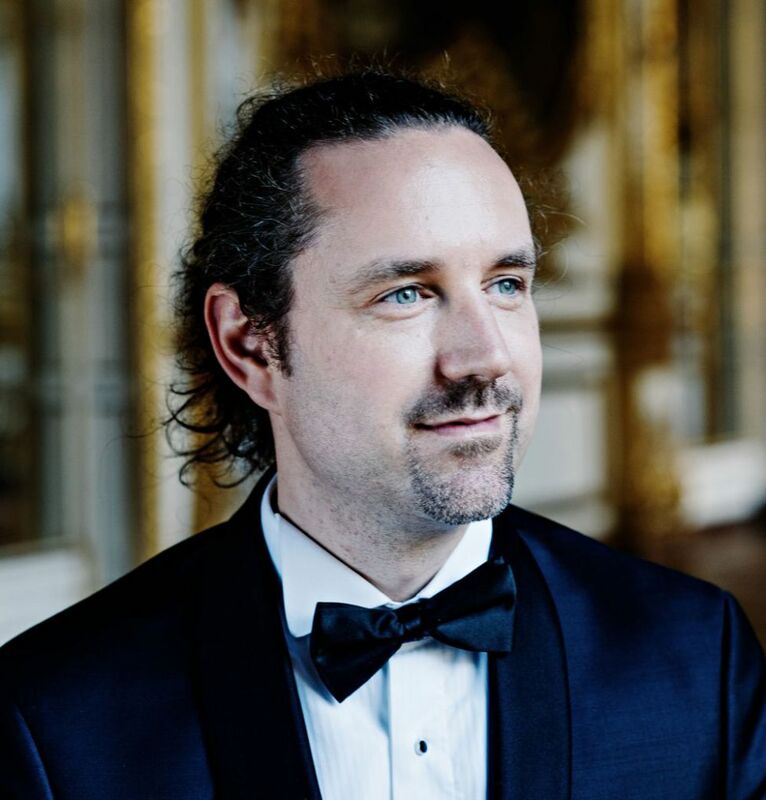 In addition to his concert activities, Julien Chauvin also devotes himself to teaching in orchestral sessions or masterclasses at the Conservatoires Nationaux de Musique et de Danse of both Paris and Lyon, the École Normale de Paris and the Orchestre Français des Jeunes. Karine is a deeply responsive musician whose sensibilities were nurtured behind the scenes at the Orchestre National de France, where she spent her entire childhood with her musician parents. Smiling, elegant, always there for others, she enchants audiences with her radiant stage presence and the subtlety of her playing. She is a founding member of the Quatuor Cambini-Paris. This string quartet, formed in 2007, has received unanimous acclaim from the critics of such publications as Diapason, Classica, Le Monde, Le Figaro, Les Échos, The New York Times and Télérama. Within the quartet, she also excels in logistics – perhaps even with a touch of perfectionism! Her sound palette on the classical violin – in which she graduated from the Conservatoire National Supérieur de Musique de Paris – has been enriched over time by the warm colours of gut strings and all the period bows that shape each musical line. 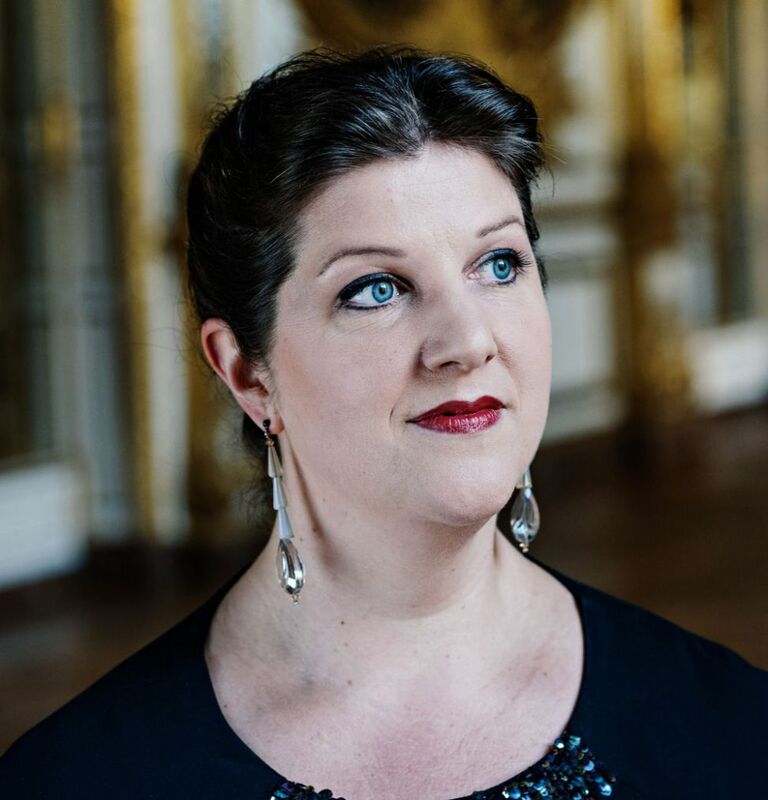 For many years now she has combined her energies with the members of Le Concert de la Loge (Julien Chauvin) and Les Talens Lyriques (Christophe Rousset). An indefatigable traveller, she appears in festivals and prestigious concert halls around the world, among them such as Carnegie Hall in New York, the Amsterdam Concertgebouw, the Royal Albert Hall in London, the Théâtre des Champs-Élysées in Paris and the Berlin Philharmonie. Her discography includes more than forty recordings with such labels as Ambroisie, Naïve, Aparté, Harmonia Mundi, Palazzetto Bru Zane and Virgin Classics. She also loves gardening, reading, going to the theatre, concerts, exhibitions and the cinema, meditation, entertaining, and preparing tasty dishes at home for the people she loves. Upon first discovering orchestra and chamber music within the walls of the music school of his childhood, just outside Paris, Pierre-Eric Nimylowycz felt destined to become a musician. Faithful to these first feelings of artistic joy, he studied violin, baroque violin and viola with Nathanaëlle Marie, Patrick Bismuth, Manuel Solans and François Fernandez; harmony and counterpoint with Raphaël Picazos, Pierre Pincemaille and Loïc Mallié; and orchestration with Olivier Kaspar, first at the Boulogne Conservatoire, and then later at the Paris and Lyon conservatories of Music (Conservatoire National Supérieur de Musique) before receiving his Bachelor of Musicology at the University of Paris IV-Sorbonne. Thereafter, he had the opportunity to play chamber music with artists such as Patrick Cohen, Olivier Beaumont, Jaap Schröder, François Fernandez, Cécile Agator, Stéphanie Marie-Degand, Jérôme Pernoo, Henri Demarquette and Sergey Malov, in ensembles such as Le Cercle de l’Harmonie (Jérémie Rhorer), Le Concert d'Astrée (Emmanuelle Haïm), Ricercar Consort (Philippe Pierlot) and Les Talens Lyriques (Christophe Rousset). He is particularly interested in the string quartet repertoire as a viola player. It was with a desire to explore new musical horizons through the rediscovery of neglected works that he joined the Cambini-Paris Quartet in 2010. He has since recorded the world premiere of Terra Desolata, composed by Thierry Escaïch, for a baroque ensemble. He plays on a viola of Giuseppe Rocca from 1855. 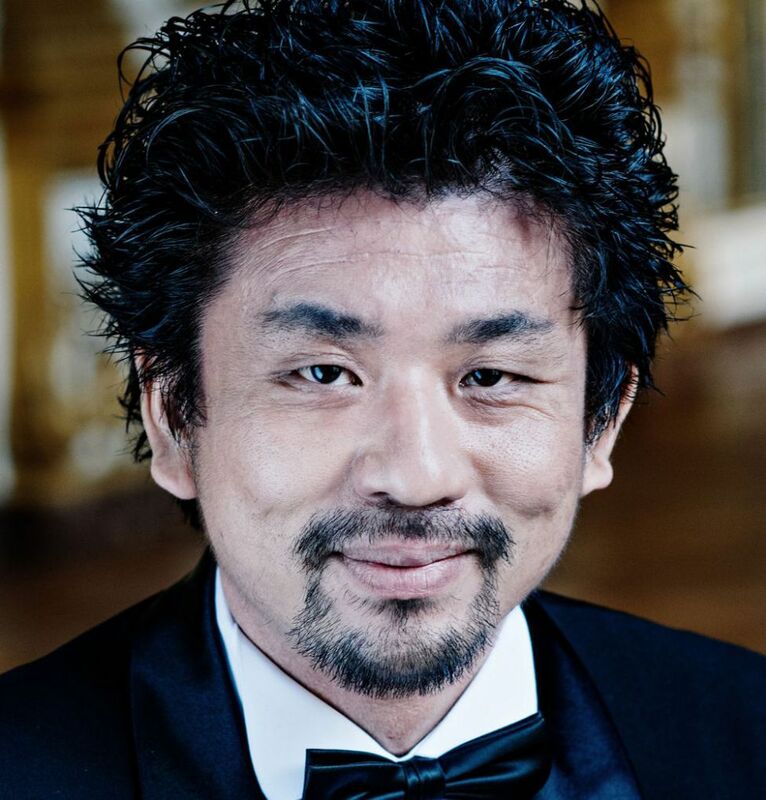 Born in Nagoya, Japan, Atsushi Sakaï, a student of Harvey Shapiro, won first prize with the highest honours, as well as the first Jean Brizard Prize, at the Paris Conservatoire National Supérieur de Musique under the guidance of Philippe Muller. He became interested in the historical cello and the viola da gamba early on and studied these simultaneously at the same institution with Christophe Coin. His talent was very soon noticed and he was invited to join ensembles such as Les Talens Lyriques, Le Concert d’Astrée and the Ensemble Baroque de Limoges. With these ensembles he has participated in numerous recordings as well as performed in concert in major European venues such as the Amsterdam Concertgebouw, Vienna Konzerthaus, Théâtre des Champs-Élysées in Paris, Barbican Center in London, Lausanne Opera and Music Festival Potsdam Sanssouci, etc. As a soloist, he has appeared with numerous orchestras, in particular, with the Prague Chamber Philharmonic and with the Berlin Symphony Orchestra in the Chamber Music Hall of Berlin’s Philharmony under the direction of Jesùs Lopez-Cobos. Passionate about chamber music, he has given recitals alongside Christophe Rousset, Emmanuelle Haïm, Christophe Coin, Vincent Dumestre, Alain Planès before founding the Cambini-Paris Quartet and the consort of viols Sit Fast. In recent years he has also devoted time to conducting and he regularly conducts the Concert d’Astrée in productions such as Actéon that was performed in Dijon and Valenciennes. He plays on cello of Antonio Guadagnini from 1881.